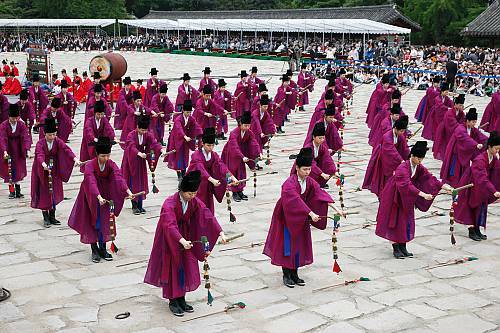 The Jongmyo Shrine in Seoul is the setting for a Confucian ritual dedicated to the ancestors of the Joseon dynasty (14th to the 19th century) that encompasses song, dance and music. 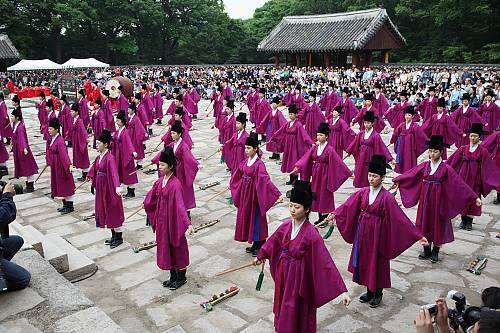 The ritual is practised once a year on the first Sunday in May and is organized by the descendants of the royal family. 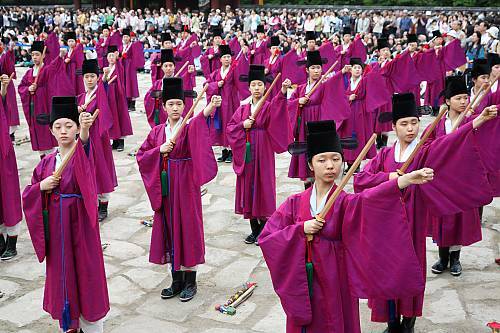 It offers a unique example of a Confucian ritual, which is no longer celebrated in China. 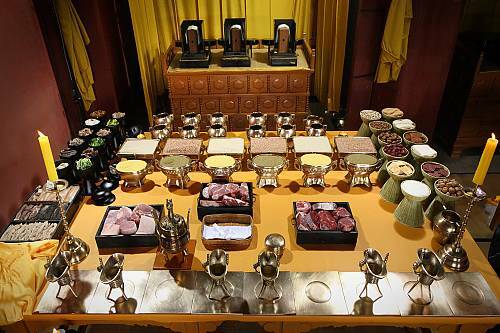 The tradition is inspired by classical Chinese texts concerning the cult of ancestors and the notion of filial piety. It also includes a prayer for the eternal peace of the ancestors’ spirits in a shrine conceived as their spiritual resting place. 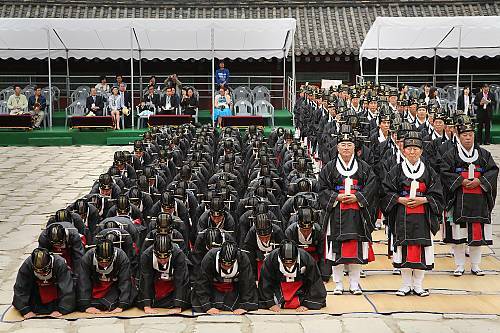 The order of the ceremony was defined in the fifteenth century and most elements have remained unchanged until today. 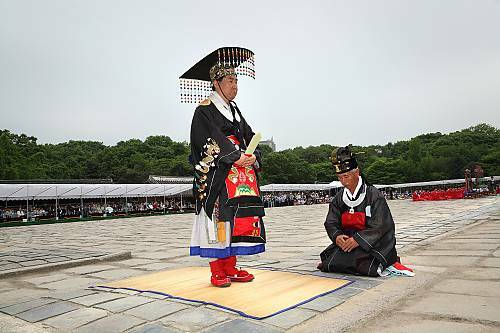 During the rite, the priests, dressed in ritual costume with a crown for the king and diadems for the others, make offerings of food and wine in ritual vessels. 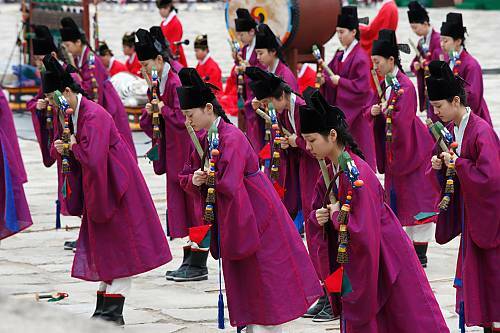 The Jongmyo Jerye is music played to accompany the rituals and is performed on traditional instruments, such as gongs, bells, lutes, zithers and flutes. 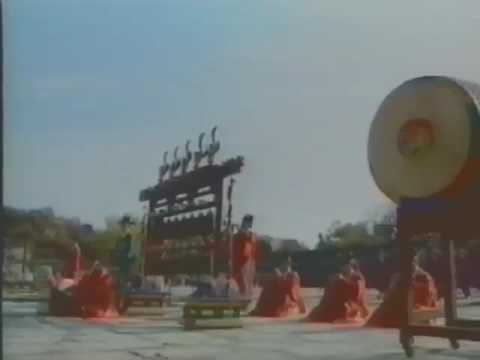 The dances are performed by 64 dancers in 8 lines representing the opposing yet complementary forces of Yin and Yang as set out in the Confucian texts.The Munmu dance, accompanied by the harmonious and soothing Botaepyong music, is characterized by a first step to the left. 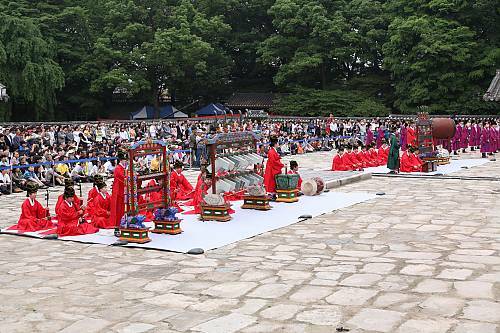 While the Munmu dance symbolizes the force of the Yang, the Mumu dance, accompanied by Jeongdaeeop music and characterized by a movement to the right, represents the force of the Yin. 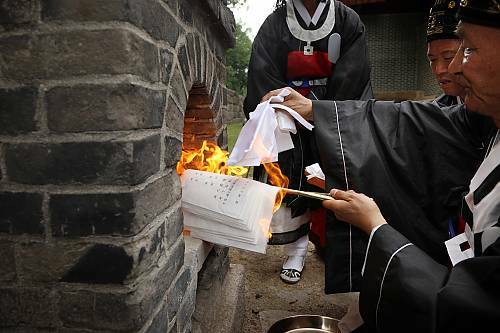 The ancestral ritual is nowadays often considered to be devoid of meaning, especially in the context of the growing importance of Christianity. However, the ritual and its music are protected through the National List of Intangible Heritage and the 1982 Law for the Protection of Cultural Property.